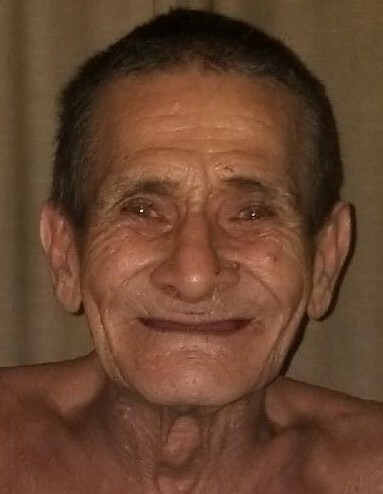 Ralph Molina Santiago, 69, of Charlestown, Indiana passed away on Monday, January 14, 2019. He was born on April 8, 1949 to Carmello and Sara Monlina (Pacheco) Santiago in Ponce, Puerto Rico. Ralph was a mechanic and a carpenter by trade, and loved to work on things from a young age. He loved his family and friends dearly. He is survived by his children; Robert Santiago, Anna Santiago, Raul Santiago, Daniel Santiago, Tabitha Santiago, Jason (Ashleigh) Santiago, Tiffany Santiago, Joshua Santiago and Justin (Kelsey) Santiago; his brother, Manny Santiago; his sister, Llieda Santiago; 18 grandchildren and 9 great grandchildren. A gathering of family and friends will take place on Wednesday, January 16, 2019 at Grayson Funeral Home from 6:00 to 7:00 P.M.